Located at Calvin, this five-span through modified Warren bridge stands unused, but in very good condition. 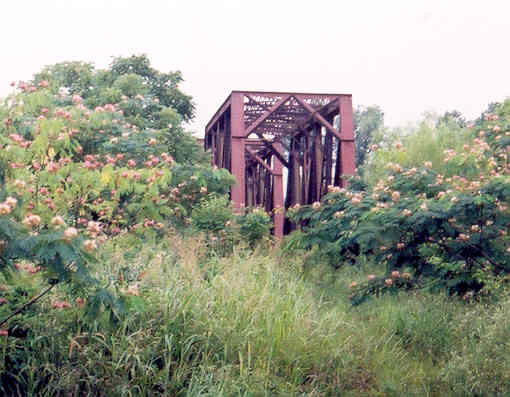 Below, view of bridge as approached from road. 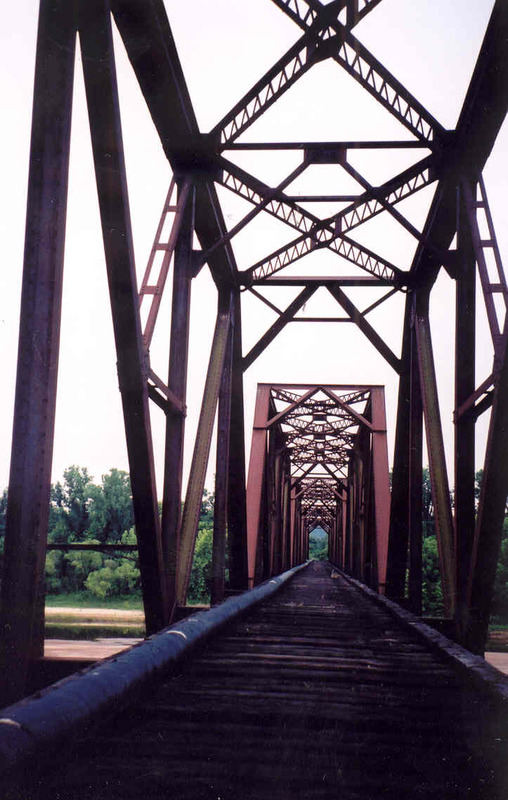 Below, the bridge as viewed from the old US 75 bridge. Above, David, posing as a scale on the bridge. 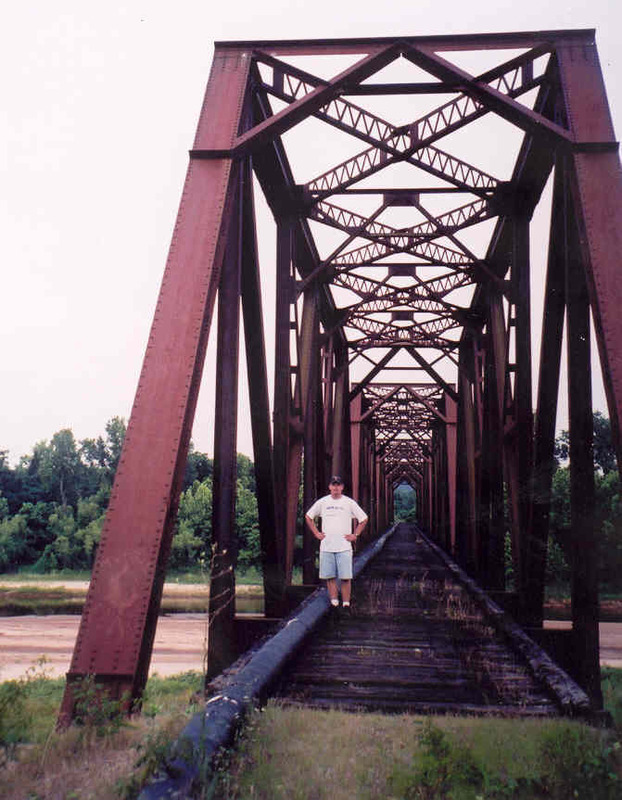 Each span is probably 160 feet long. Below, a view through the bridge from the north span. Note the sub-dividing in the middle panels. Each span is 6-panels long. 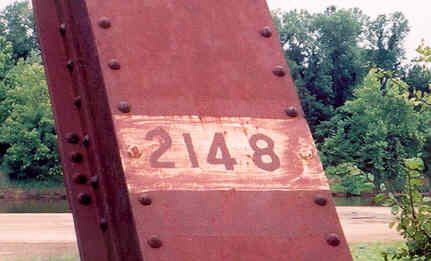 Above, the bridge's ID number, 2148. 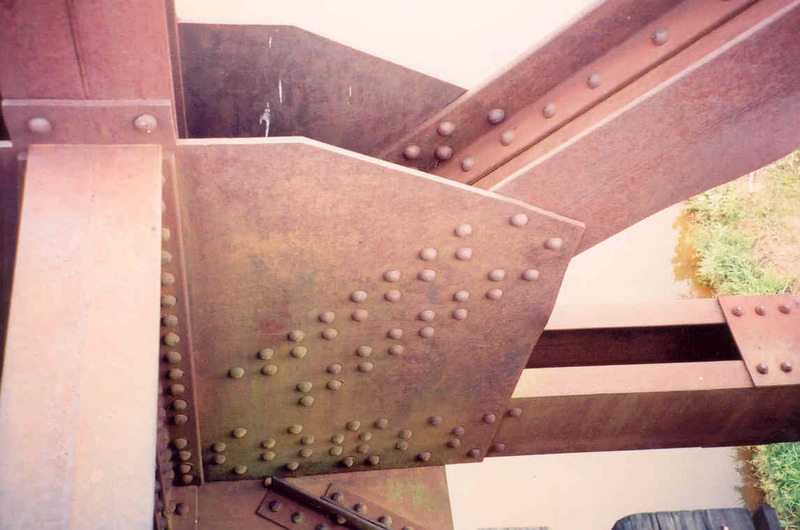 Below, a detail of one of the massive connections. 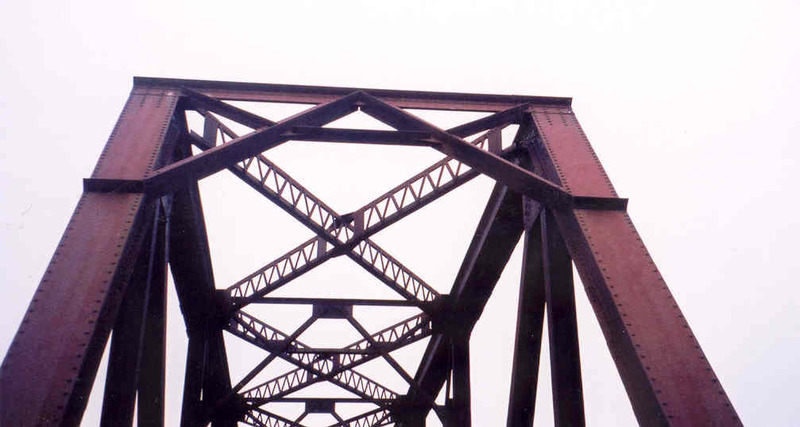 Below, detail of the portal frame.